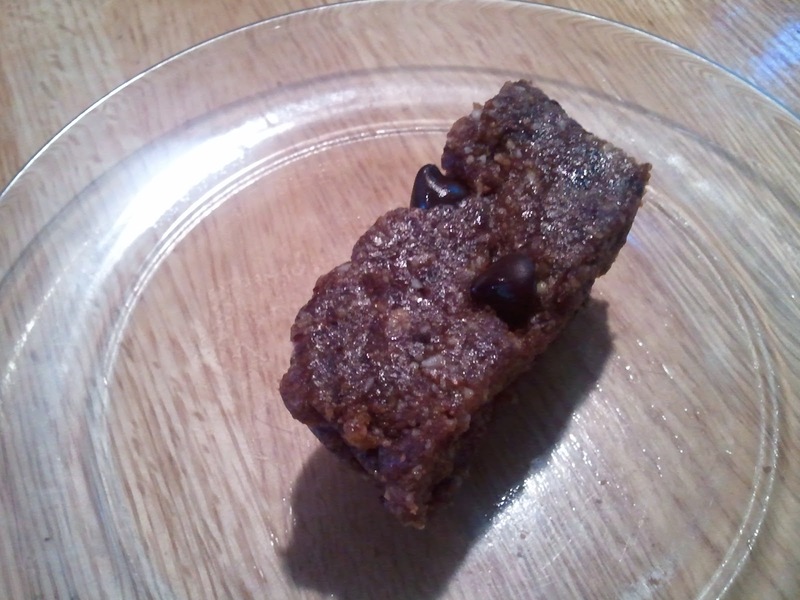 I've wanted to try my hand at making my own Larabar type power bars for a while, but the food processor intimidates me. Really. It does. But today I got over my fear, dragged the behemoth out from under the counter, tried not to think about the fact that cleaning it would take up a whole dishwasher load and took it for a spin. 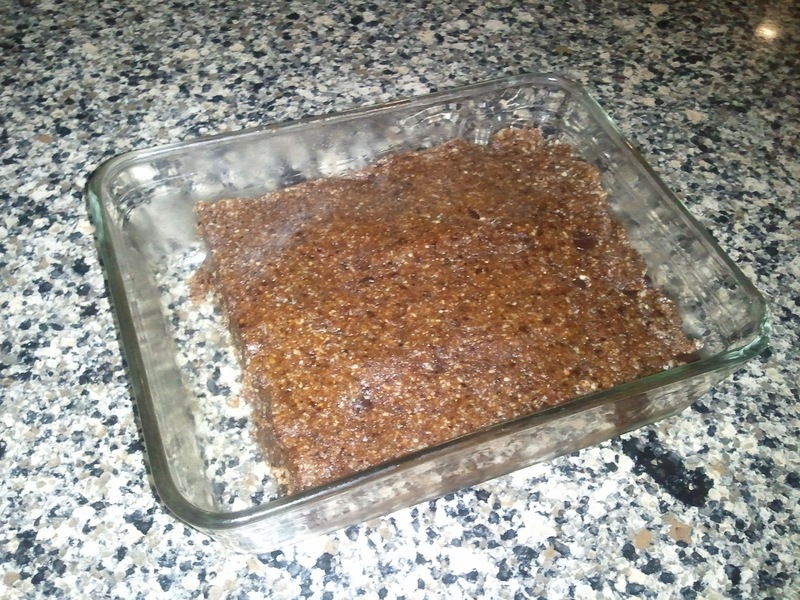 I made 2 batches of the bars with varying add-ins, and I have to say they turned out quite well. I made one batch with a base of almonds and walnuts that had dark chocolate chips mixed in and made the second batch of almonds with cranberries. Give it a try! Pulse almonds and walnuts in food processor until they are a mealy consistency. Add in dried plums, coconut, vanilla, cinnamon and syrup. Pulse until mixture comes together into a lump. Pour lump into a mixing bowl then mash in the chocolate chips. Press into a 8x8 pan and refrigerate for at least an hour until they are more firm. Cut into bars and enjoy! Pulse almonds and flax seed meal in food processor until they are a mealy consistency. Add in dried plums, coconut, vanilla, cinnamon and syrup. Pulse until mixture comes together into a lump. Pour lump into a mixing bowl then mash in the cranberries. Press into a 8x8 pan and refrigerate for at least an hour until they are more firm. Cut into bars and enjoy!